So our last post helped nudge you in the direction of doing a bit of gardening with the kids. Great! But a lot of folks may be new to this, so you might be looking for some helpful advice. Keep in mind that you don’t have to go hog-wild with a vegetable plot and plant everything under the sun; you don’t necessarily have to plant vegetables at all – some nice flower beds that will attract bees, birds, butterflies and other wildlife are fabulous too. But let’s say you want to go with some veggies, since you’re looking to incorporate some homegrown produce into the family diet. Here are a few ideas to get you started. Start small. A smaller plot is obviously easier to prepare and maintain, and can always be expanded later if there is space. Choose a spot that receives at least 8 hours of sunlight throughout the day, and start turning over the soil. Chances are it might have to be amended a bit with organic material – peat moss, compost, manure, etc. – so take a look at information on assessing your soil. Get the kids involved at this point, having them poke around in the dirt and talking about the basic composition of soil – what makes dirt dirt. 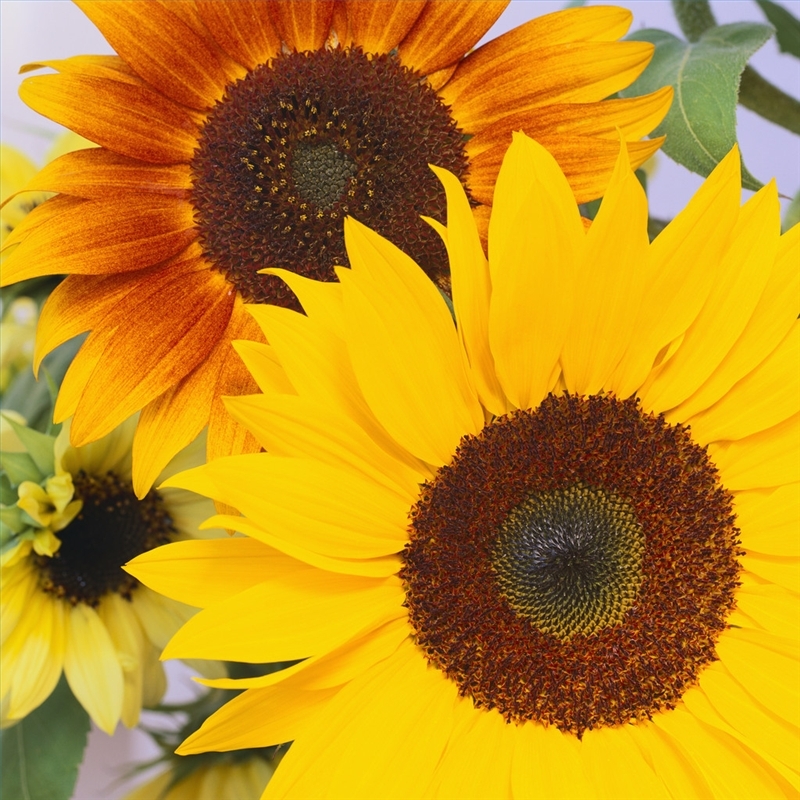 Sunflowers: Fast-growing and fun. Attractive to both kids and birds. Plant at the back as they grow quite tall. Lettuce or mixed greens, often labeled ‘mesclun’: Quick and reliable, ensuring fast results. A good way to interest your kids in salads. Radishes: Very fast-growing and can be planted very early in the season when the weather is still cool. Snow peas/sugar snaps: Again, a fast-growing, early-season crop. Kids love to pick and eat them straight from the vine. Cherry tomatoes: Sweet, nutritious, and perfect for popping right into your mouth. Very prolific and have a long growing season. A must-have. 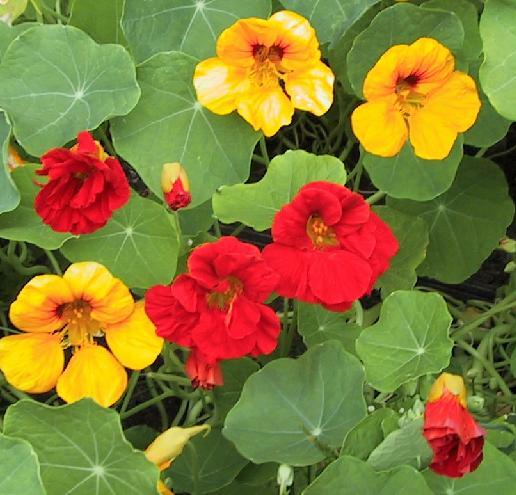 Nasturtiums: Lovely garden border. Easy to grow, flower quickly and throughout the summer. Both leaves and blooms have a yummy, peppery flavor. 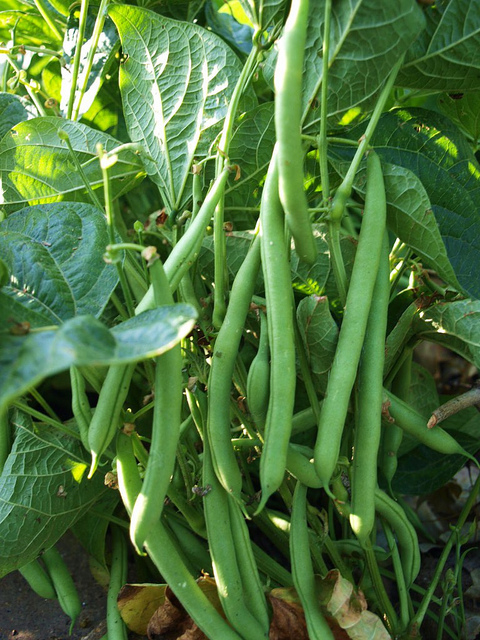 Bush beans: Compact varieties are short but yield incredibly abundant crops. Kids tend to like them both raw and cooked, and they’re easy for children to harvest. Choose some plants as well. Seeds are great, but provide the kids with some early satisfaction by putting in some established plants as well, such as tomatoes and peppers, herbs, or pansies, lobelia or alyssum. This gives them something to observe, pick, water, and enjoy while waiting for the seeds to sprout. Give them their own set of tools. Get good-quality kid-sized tools for them to use, and they’ll feel more involved in the gardening process. And get them engaged from seed to table. Let them know that the garden is helping the whole family by lowering food costs, providing healthy, pesticide-free produce, and making the yard more beautiful. Let them eat dirt. If you’re all fussy and fastidious about keeping clean and not getting their clothes dirty and staying dry and not fondling the plants they’re going to get the wrong message. Put worms in their hands to show them that they’re not icky, don’t freak out about filthy fingers popping cherry tomatoes into mouths, and for the love of Demeter give the anti-bacterial wipes a rest already. Last summer our two year-old loved to water the garden, soaking in the process not only the vegetables but himself and his father. No biggie – we’d come inside sopping wet and change into dry clothes. 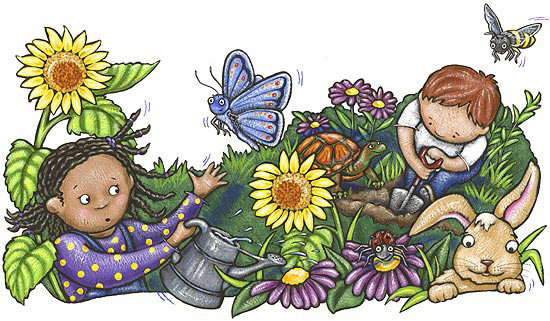 Relax and allow kids to be kids in the garden, and everybody will be happier. Make it a big deal. If you’re excited and enthusiastic about the garden, chances are they will be too. Make sure you take good care of your plot, and share your wonder with them by looking closely at how things grow, the stages they go through, and the animals – both wanted and unwanted – that are drawn to the garden. There are many more ways to get your kids engaged in the garden, but these will get you started. 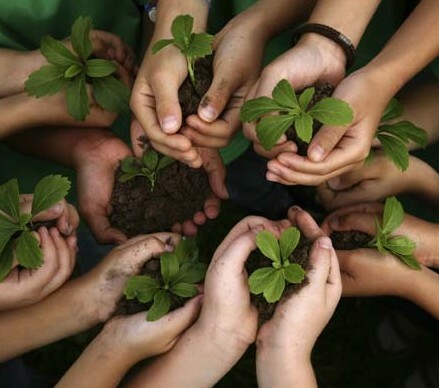 For more information, check out: Gardening with Kids, the American Community Gardening Association, the National Gardening Association, and Gardening with Children. Happy gardens, kids! Great article, just waiting for the weather improve and we’ll be all out in the garden. We’re going to put in a raised bed, helps with the back bending and keeps the dog off, hopefully!! I may do raised beds with our next garden – a bit more work in the beginning but it seems to pay off. Happy gardening! Can’t wait to get digging in the garden… if it would just stop raining for a moment. Thanks for the reblog, my good man!